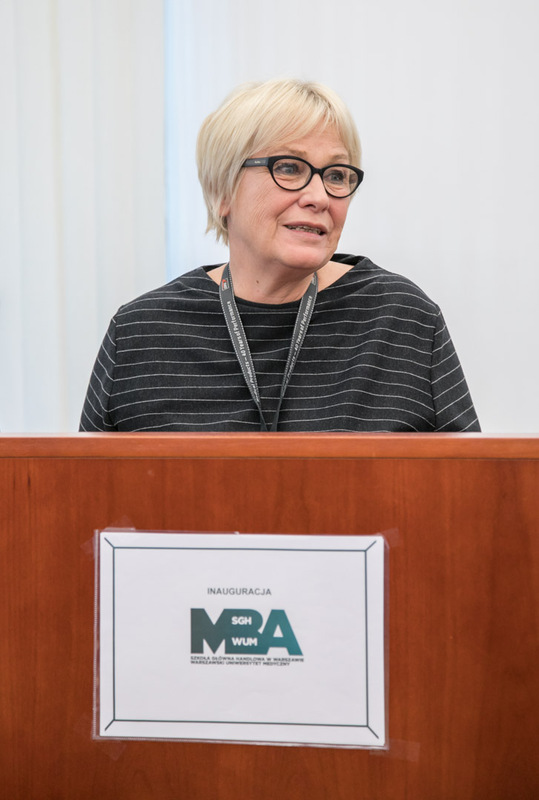 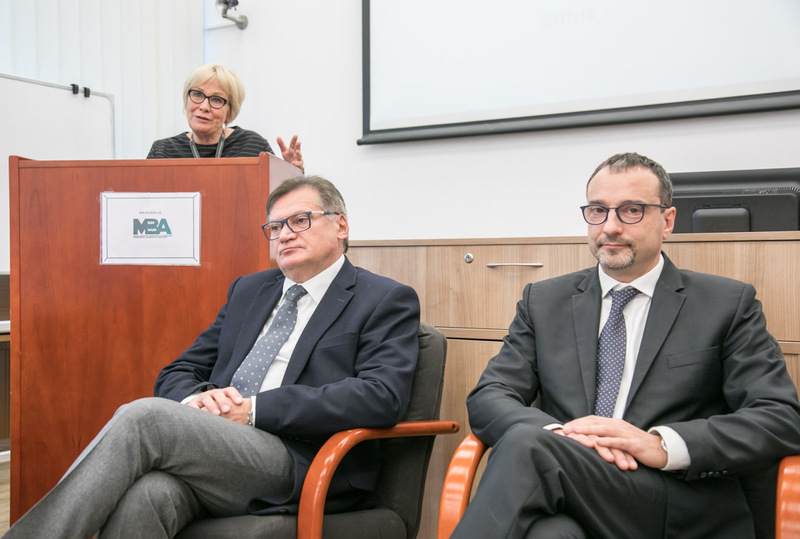 Representing the Medical University of Warsaw (WUM) were Prof. Barbara Górnicka, MD, PhD, Deputy Rector for Student Affairs and Education, Prof. Bolesław Samoliński, MD, PhD, Dean of the Centre of Postgraduate Training, Prof. Maciej Słodkowski, MD, PhD, Vice Dean of the Centre of Postgraduate Training, Artur Białoszewski, M.A., Director of the SGH-WUM MBA program, and Małgorzata Kruk, Director of the Centre of Postgraduate Training. 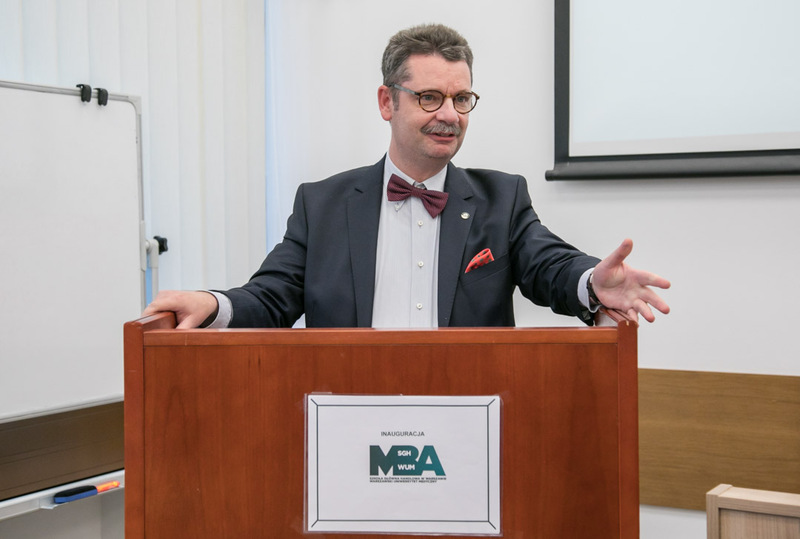 Representing the Warsaw School of Economics (SGH) were His Magnificence Prof. Marek Rocki, Rector of the Warsaw School of Economics, Prof. Piotr Wachowiak, PhD, Vice Rector for Research and Management at SGH, Rafał Mrówka, PhD, Director of the MBA-SGH Program, and Michał Jakubczyk, PhD, Deputy Director of the MBA-SGH Program. 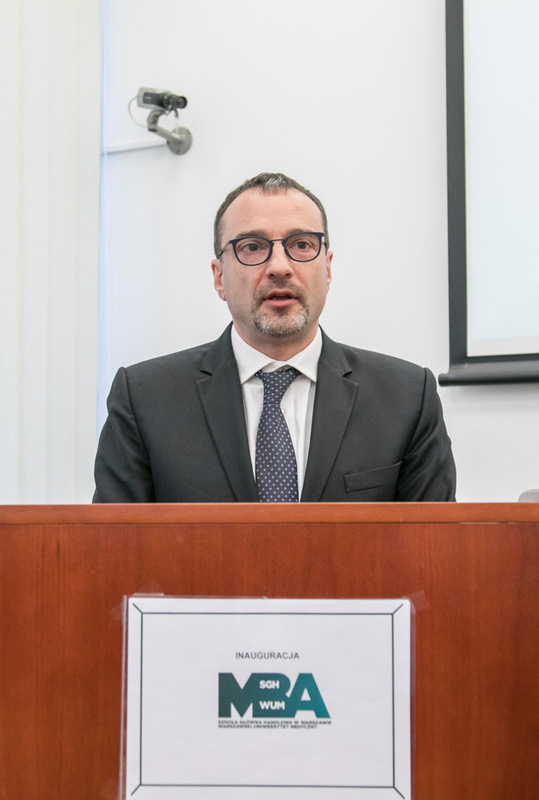 Representing the Ministry of Health was Mr. Marcin Czech, Undersekretary of State and lecturer of the SGH-WUM MBA in Healthcare Management program. 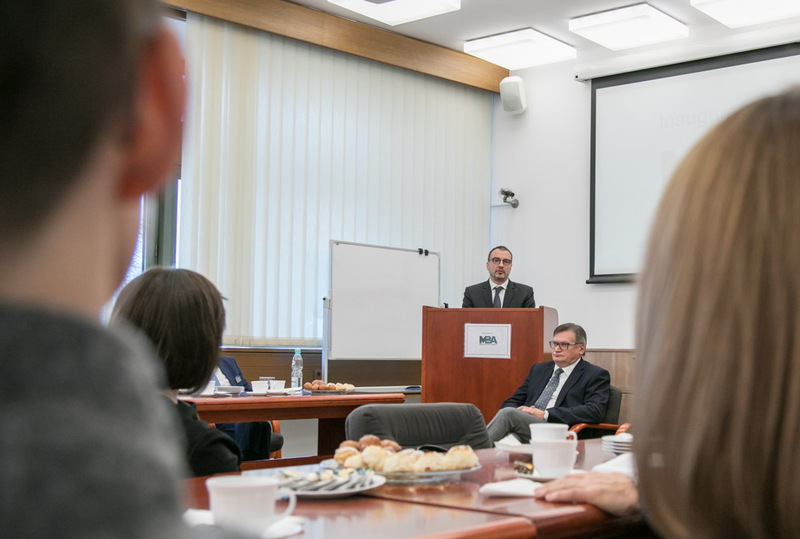 In his address, the Rector of SGH, Prof. Rocki expressed his delight in the launching of the SGH-WUM MBA program. 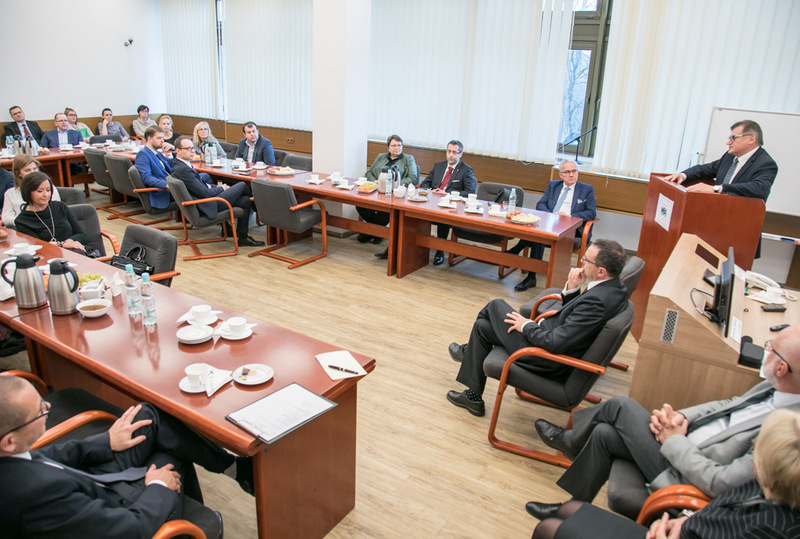 He underlined its uniqueness as a program that brings together healthcare and economics, finanse and management. 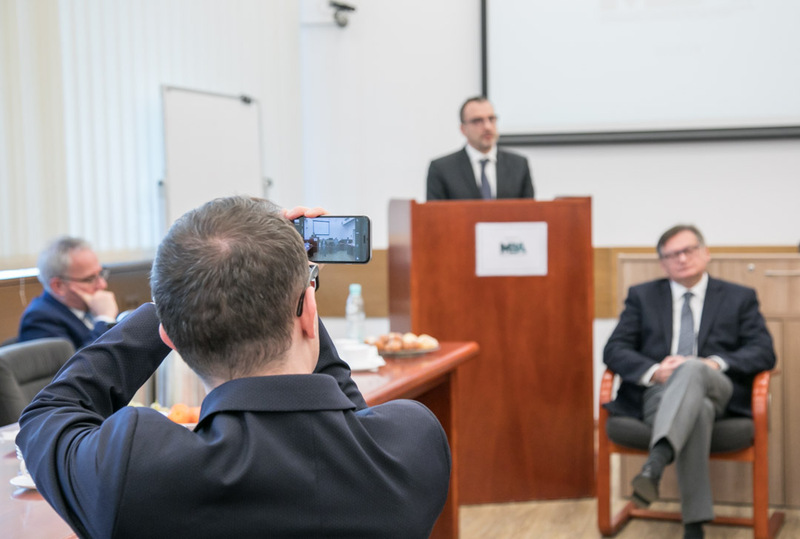 In his opinion, participants of the program will acquire very practical knowledge useful in their career development and in their work with patients. 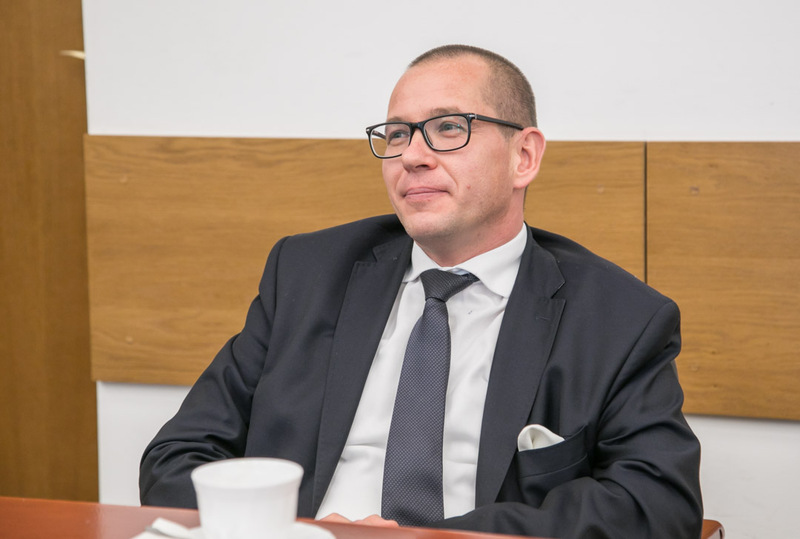 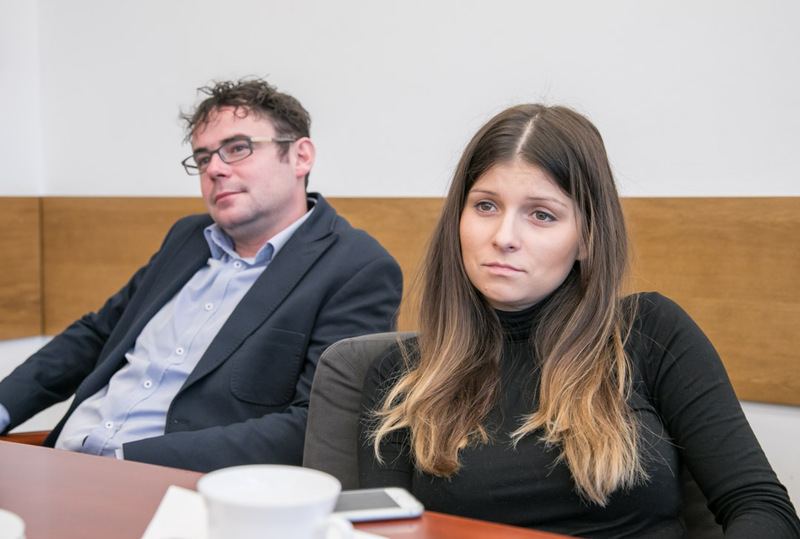 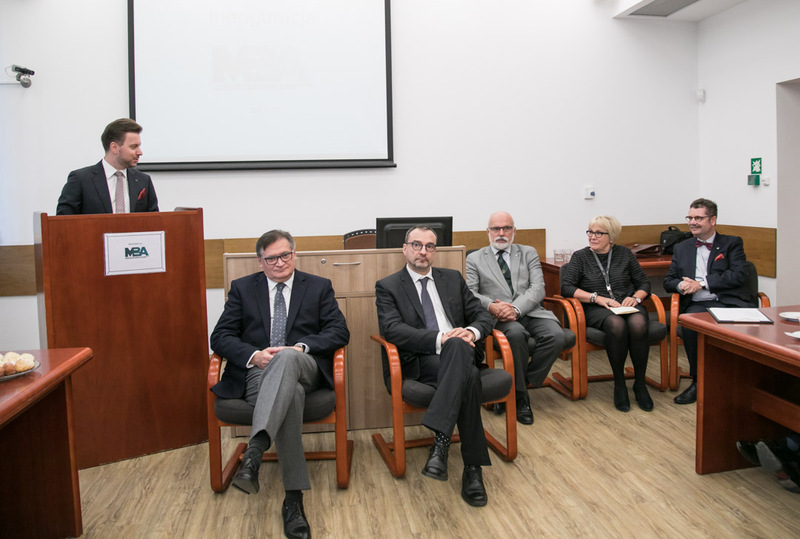 The Undersekretary of State in the Ministry of Health noted that the new program responds to the demands of the current state of Poland’s healthcare system. 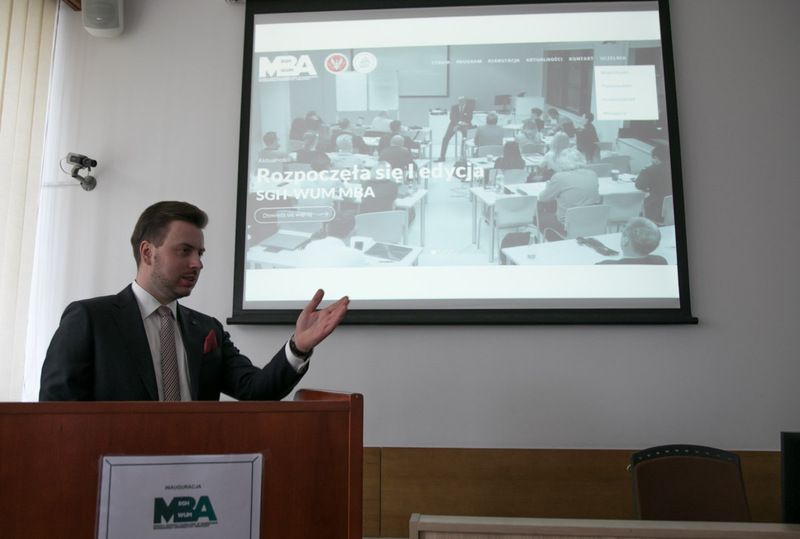 Mr. Czech remarked that there is a need for modern managers with an interdisciplinary education background who can apply their knowledge across different areas of study. 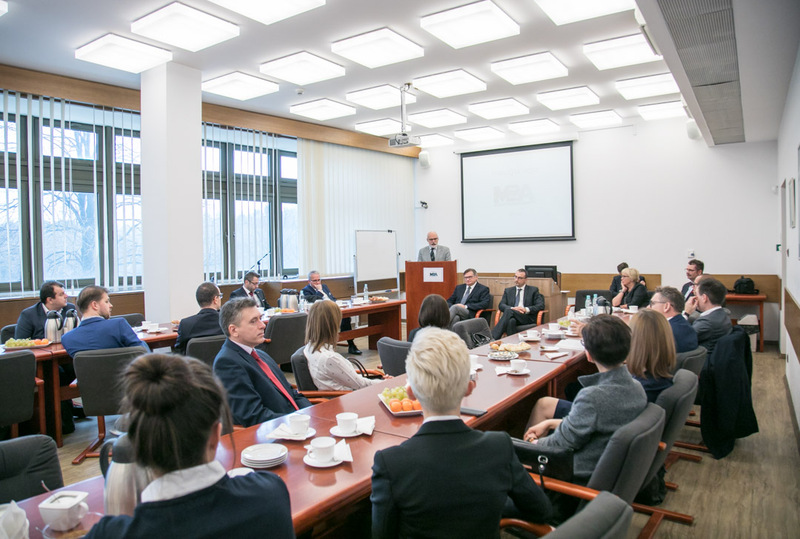 Mr. Czech also commended both institutions for setting an example for university cooperation in Poland. 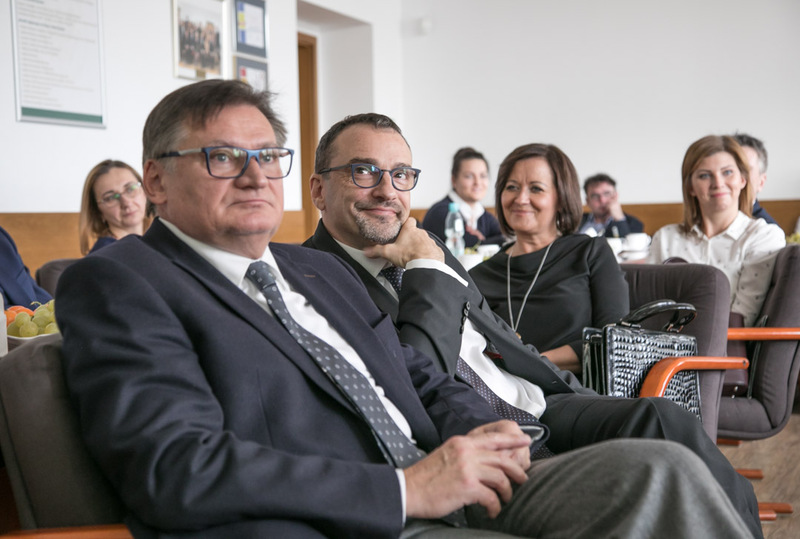 Prof. Górnicka, Deputy Rector for Student Affairs and Education at WUM congratulated the creators of the program from both institutions and thanked them for their strong cooperation which brought excellent results. 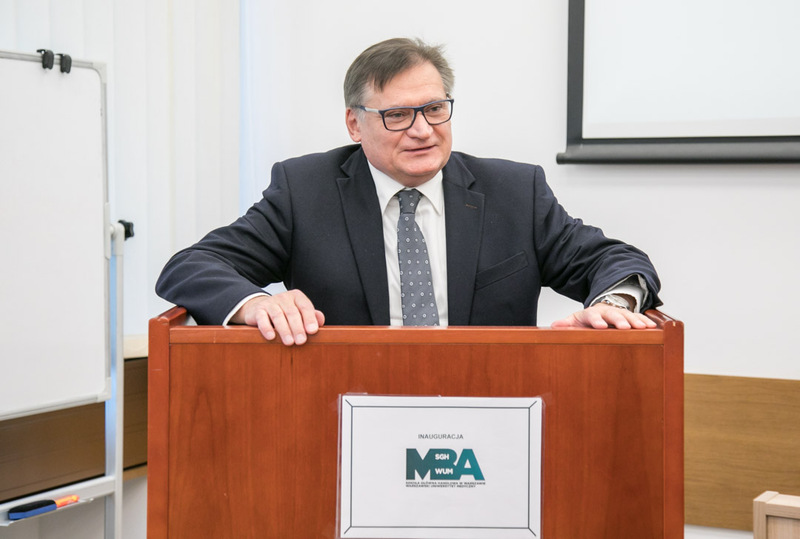 Prof. Górnicka is certain that the participants of the SGH-WUM MBA program will receive a solid foundation of knowledge that will serve them in their professional careers. 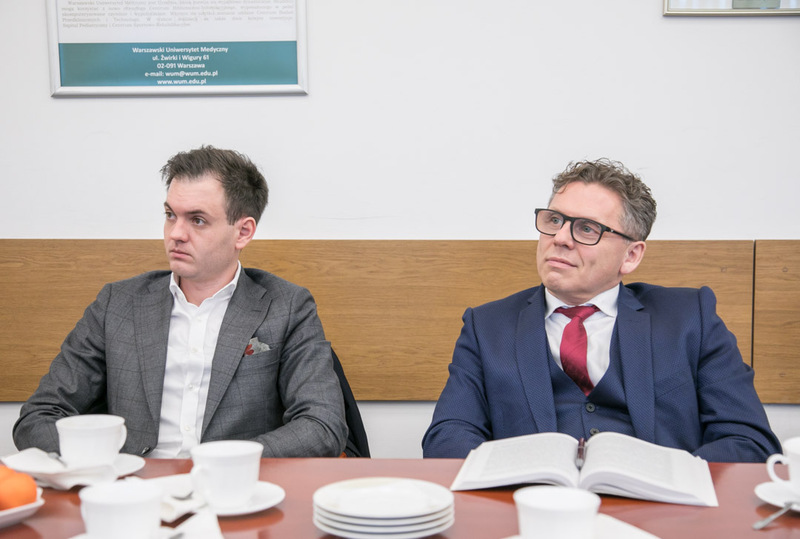 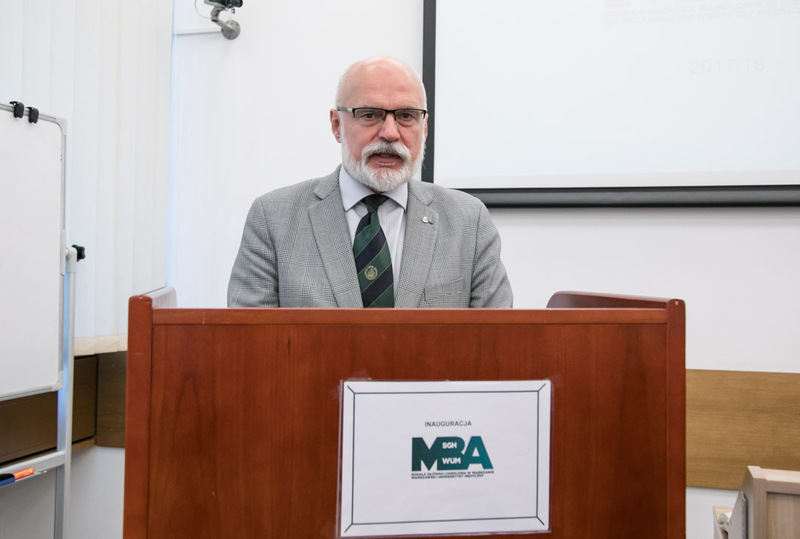 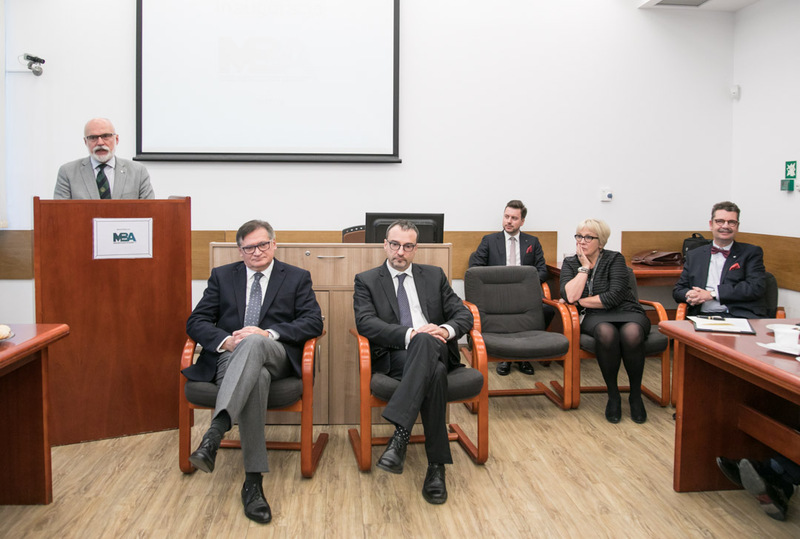 The Vice Rector for Research and Management at SGH, Prof. Piotr Wachowiak, and the Dean of the Centre of Postgraduate Training at WUM, Prof. Bolesław Samoliński also addressed the audience. 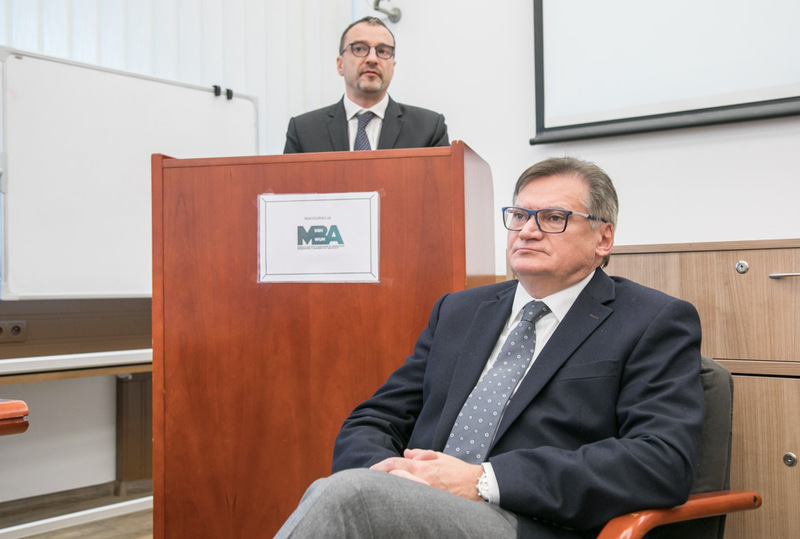 Both stressed the importance of offering world class training to Poland’s healthcare managers the result of which is the creation of the SGH-WUM MBA program. 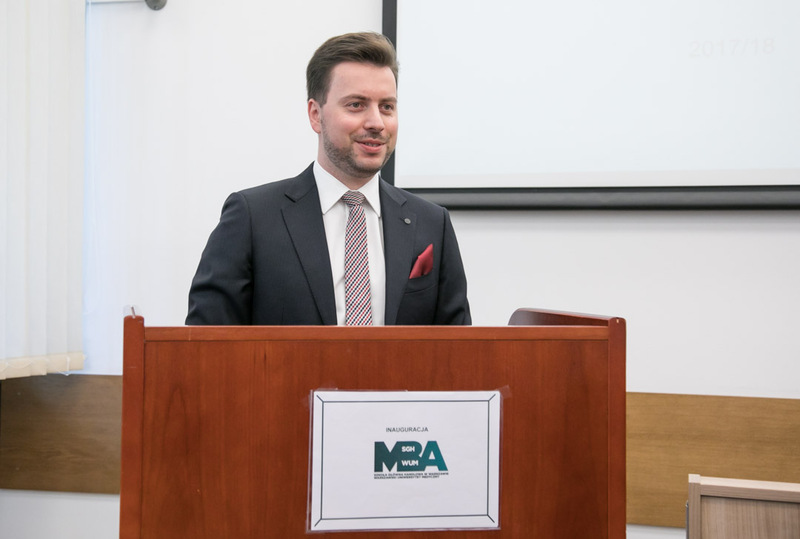 The last to take the floor was the Director of the SGH-WUM MBA program, Mr. Białoszewski, who outlined the quality assessment scheme and the program’s internal communication system. 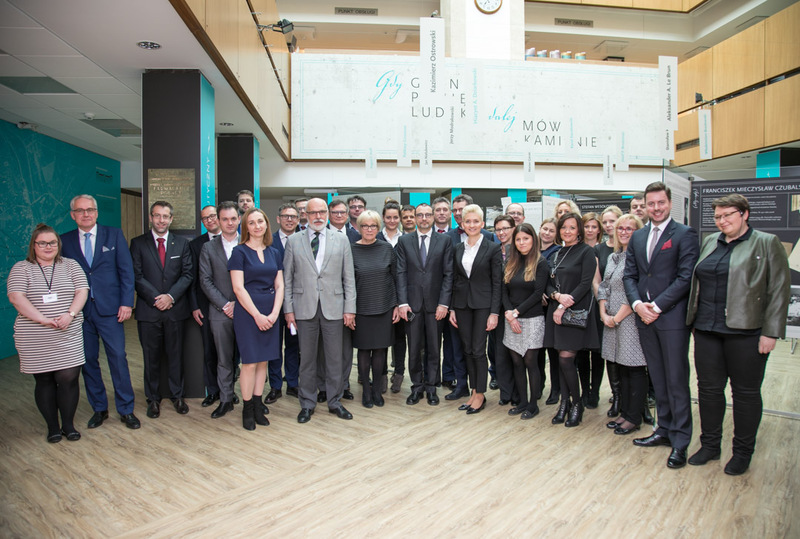 Then all participants and honourable guests gathered for an official photo.